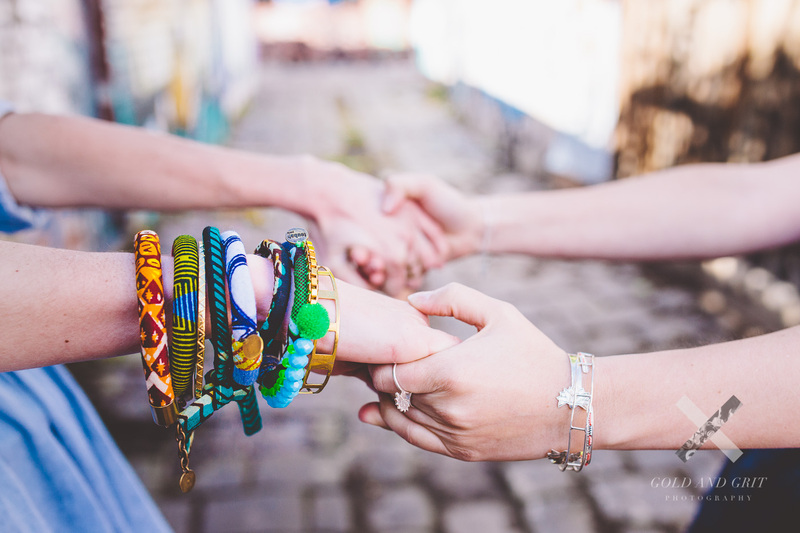 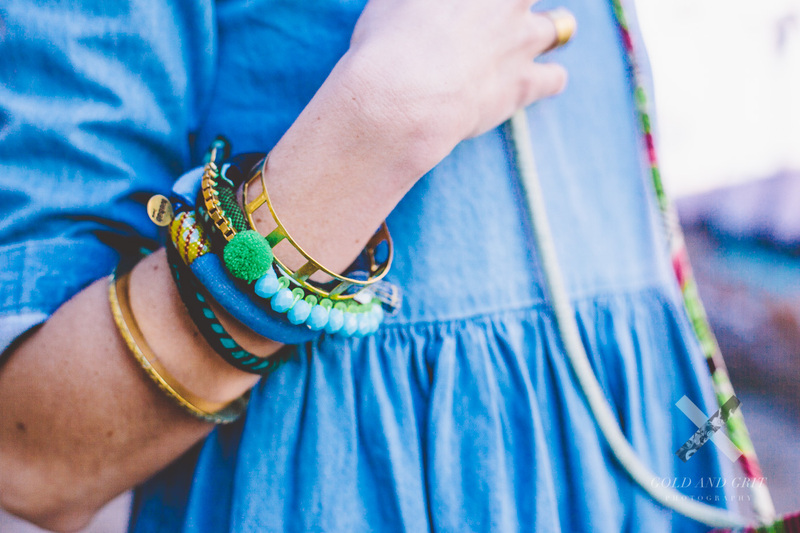 Camille, an incredibly inspiring friend of mine, is starting up her own jewellery business, sourcing ethically made jewellery that are not just great for the conscious, but look incredibly rad. 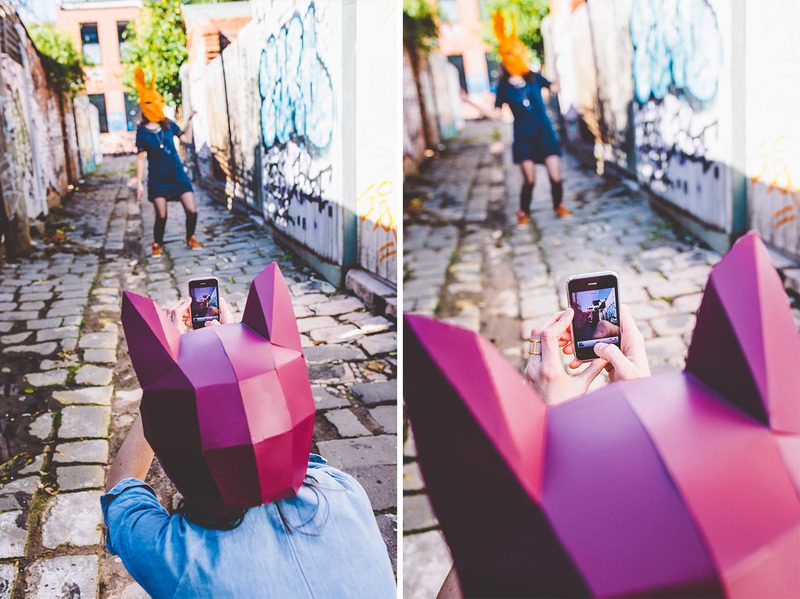 We set up a shot to gather some inspirational brand pictures to be displayed on the first showcase events, as well as in the coming online presence. 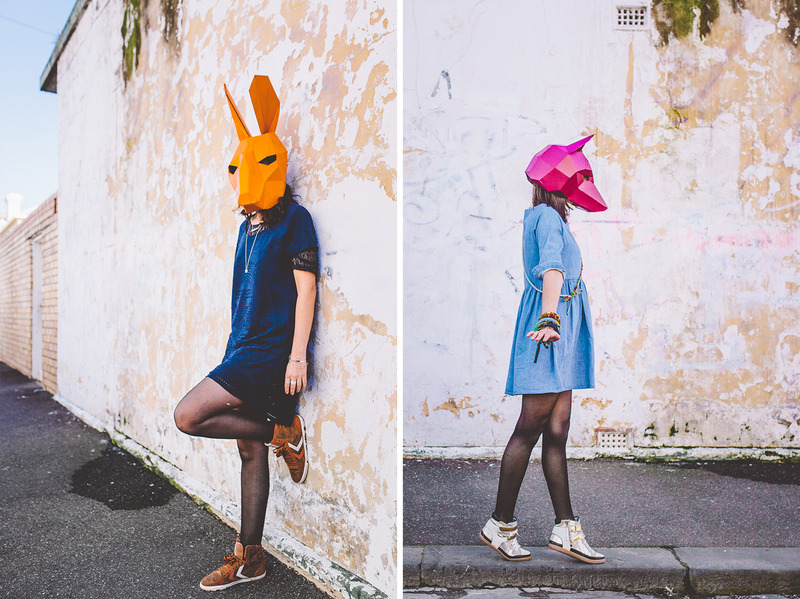 And what a shoot! 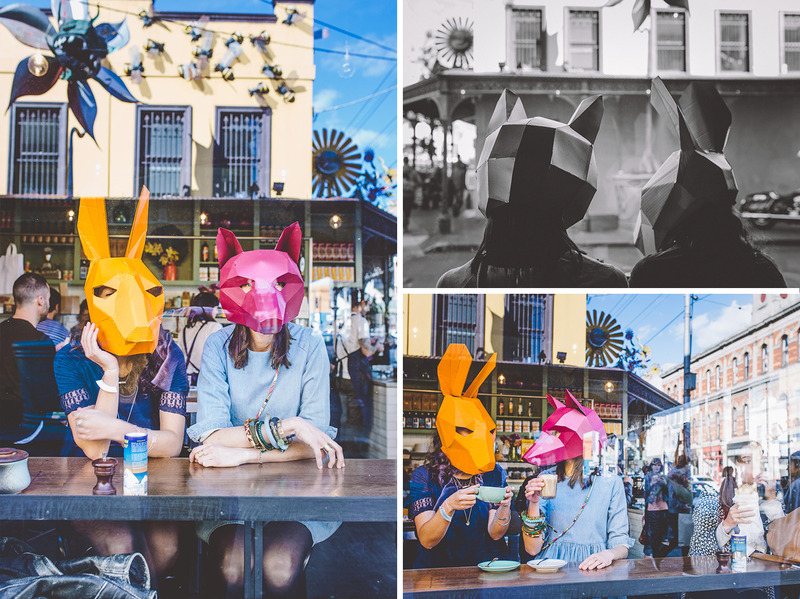 With the keywords being playful, fun, urban and colourful, how could it not be? 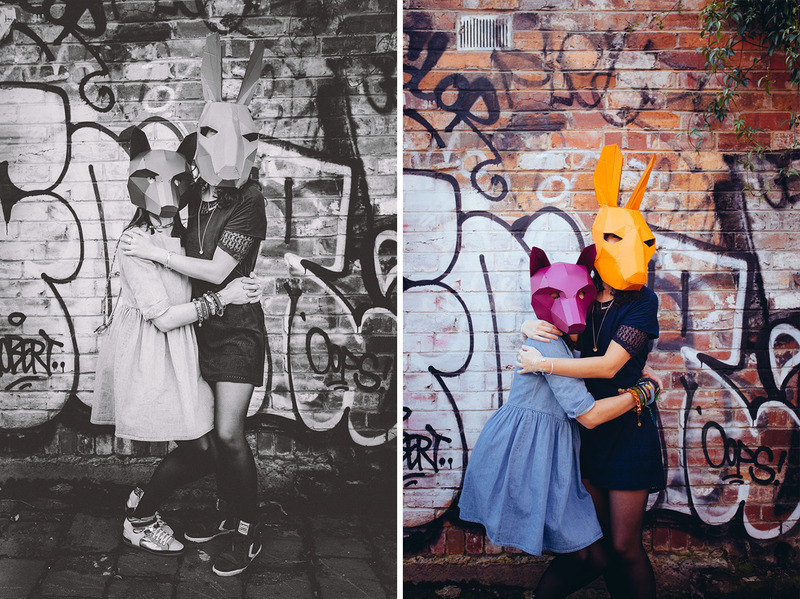 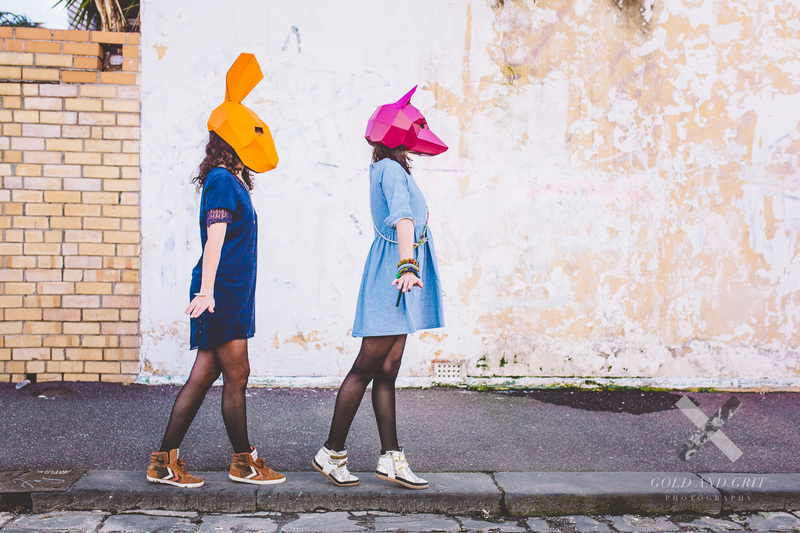 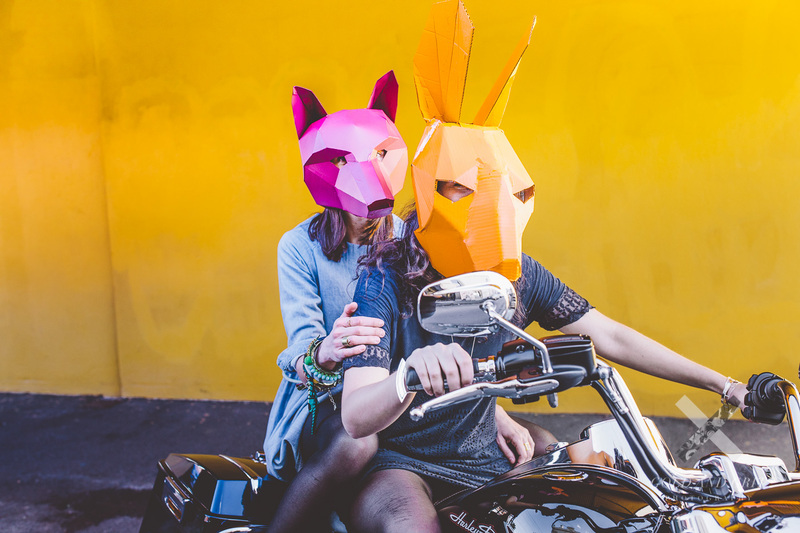 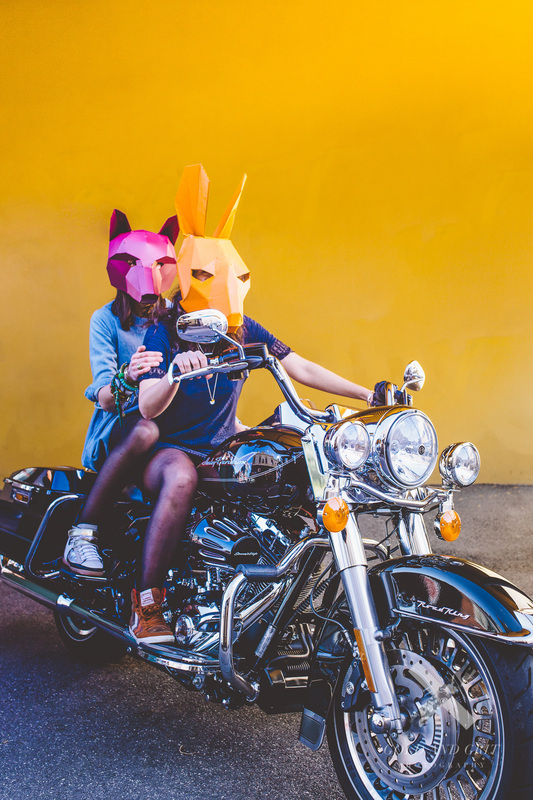 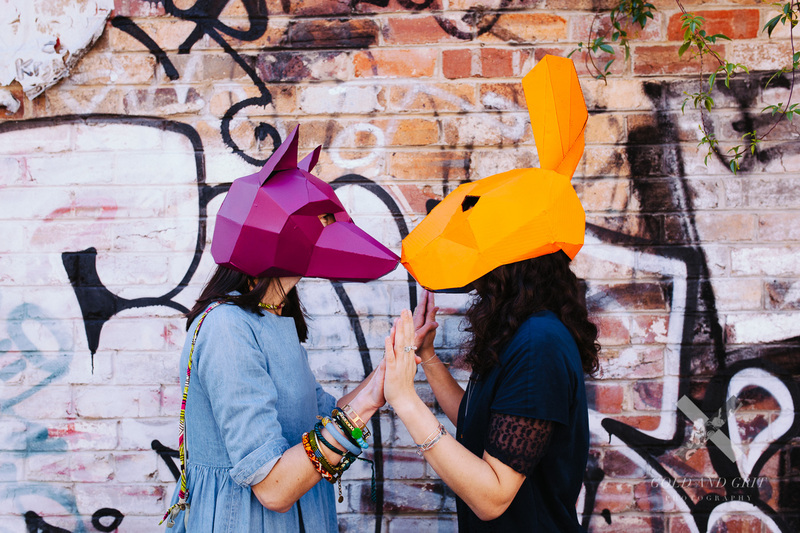 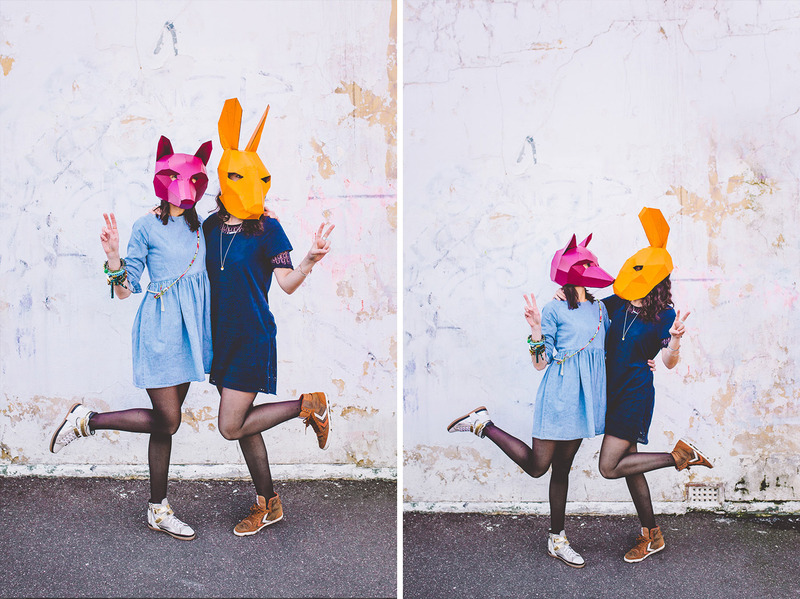 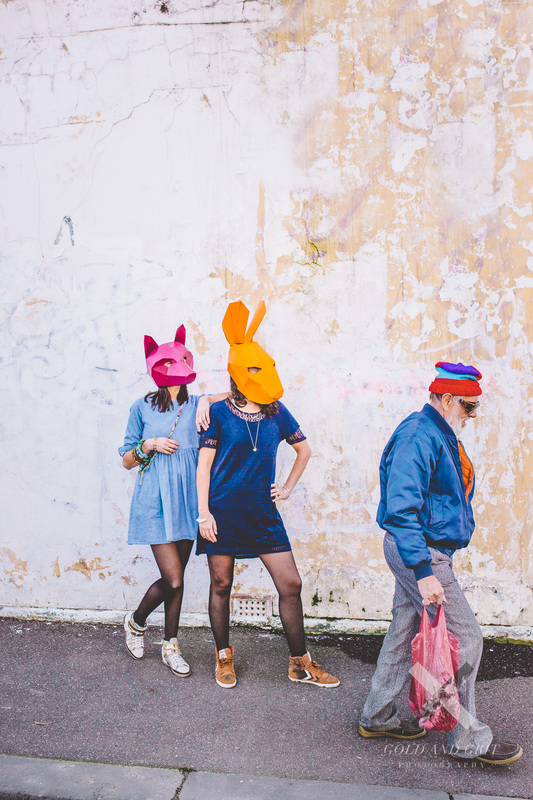 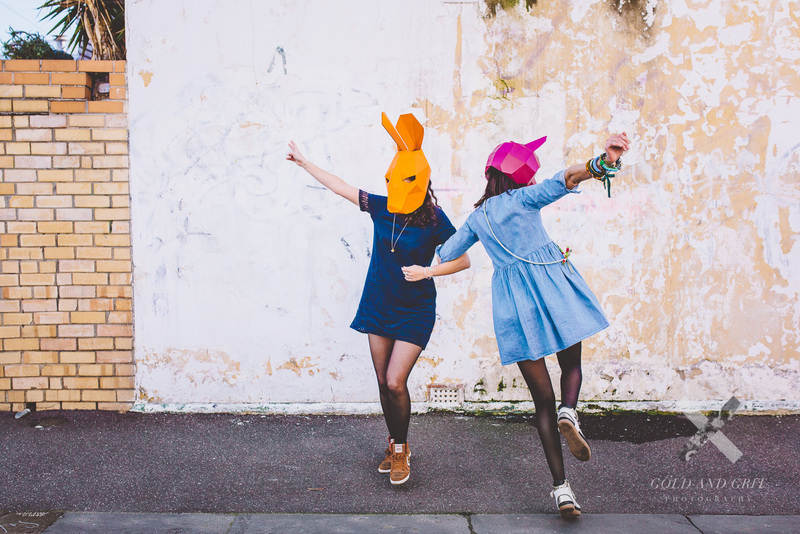 We got the two models sporting brightly painted animal masks we sett off on the backstreets of Fitzroy, getting some amazing shots in shoddy alleyways, against ageing walls, in a coffee shop and on a Harley. 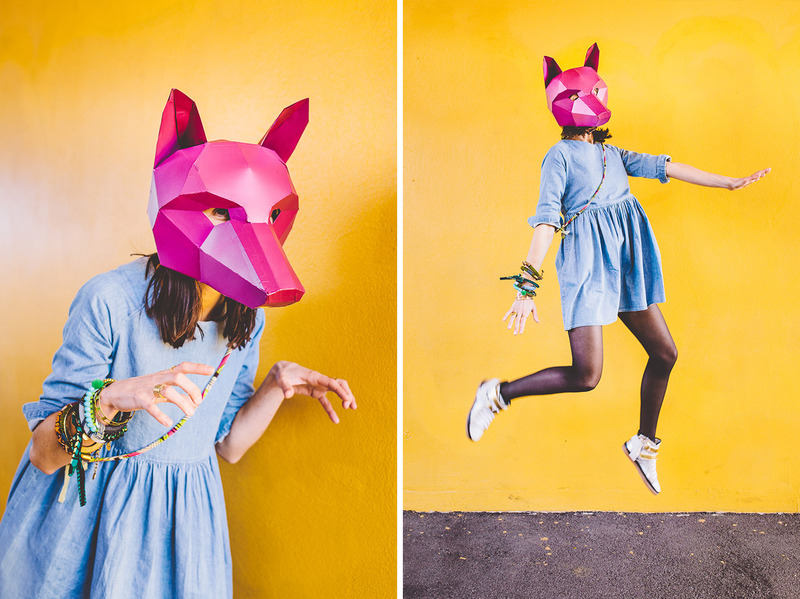 It’s one of the most fun shoots I’ve done to date, and I so so so want to do a second one with animal masks as well, they’re such a great prop!